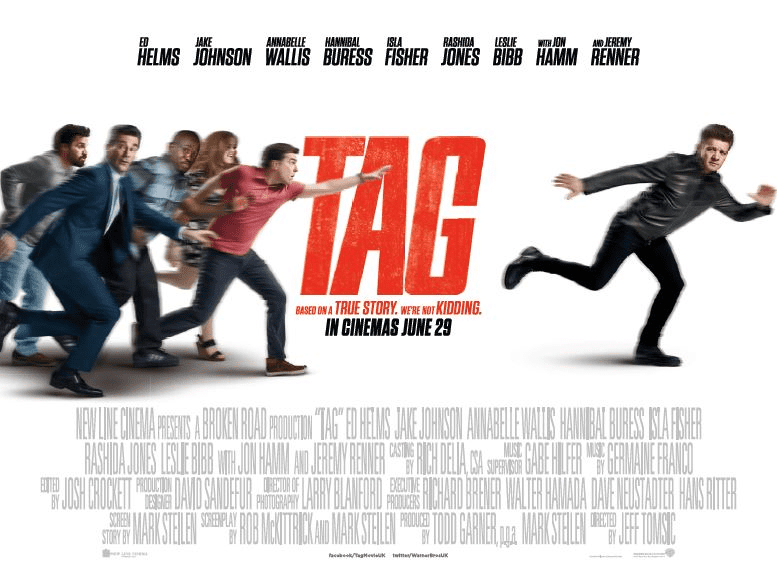 To celebrate the release of ‘Tag’ now showing at RDC ODEON, Warner Bros. Pictures and The Red Dragon Centre offer you the chance to win an exclusive prize bundle from the film which includes a baseball cap, t-shirt, shot glass set and much more! What’s more, we’ve got two bundles to giveaway! For your chance to win simply answer our competition question by 20th July 2018. Two winners will be selected at random and contacted by email. Prize must be collected from The Red Dragon Centre. What is the name of the mythical 'Sword in the Stone'? I would like to subscribe to The Red Dragon Centre mailing list and agree to transfer my data to Mailchimp. Terms and conditions apply: Winner must be able to collect the prize from The Red Dragon Centre; The promoter of the competition is The Red Dragon Centre; This prize can ONLY be claimed at The Red Dragon Centre; The prize draw is open to UK residents aged 18 or over; The winner will be contacted via email and will have 48 hours to get in touch to find out how to claim their prize; The Red Dragon Centre reserves the right to cancel or amend the competition and these terms and conditions without notice; All decisions of the management will be final and binding. No correspondence will be entered into; No cash alternative to the prize will be offered, the prizes are not transferable. Prizes are subject to availability and we reserve the right to substitute any prize with another of equivalent value without giving notice; By entering the free prize draw, the winner consents to any publicity generated as a result of the draw and use on websites, Facebook, social media platforms, magazines or mobile services at any time without further consent or payment. All data shared in entering this competition will be used for administration ONLY. We take data protection very seriously, and your data will not be shared with any third parties. Please see our privacy notice http://thereddragoncentre.co.uk/privacy-policy/ and terms and conditions http://thereddragoncentre.co.uk/terms-and-conditions/ for details.